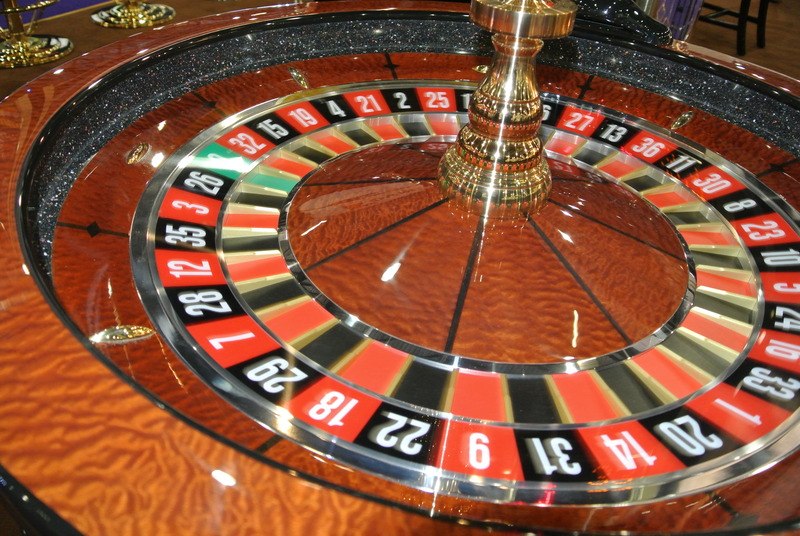 A roulette wheel has 18 blacks, 18 reds and our beloved single green: zero. That’s 37 spots all together. Each spot has a winning potential of 2.7%, which miraculously, also happens to be our house advantage, or edge. This is a very important little percentage: It makes it possible for you to earn a salary. That and your superb qualifications and unbelievable good looks, of course. So when your players bet $5 on, say, red, they have an 18-in-37 chance to double their money and a 19-in-37 chance of losing it. The Martingale system says the player should bet again, except make it $10 this time. What’s going on here? The reason this seems appealing to those placing the bets is that they think when they’ve lost once, it’s unlikely that they’ll lose several more times. So if they keep increasing their betting total, they can recover what they’ve lost. Think about it (Yes, yes — think? While at work? Hilarious). Suppose a player loses twice, then wins. He lost $5, then $10, then won $20. That nets him $5. Obviously, he may lose more than twice before he wins, but eventually the player should be able to recover. So is it a loss-proof system? Well, let’s just say that we are having this discussion right now and the gambling industry is still around. So a good guess would be that you can’t actually beat the house. John Grochowski, a respected gambling writer, has recently published yet another short article about why players should stick to constant straight bets. It all comes down to the same fact all over again: when you’re up against statistics, you need to quit while you are ahead of the curve. As with any other curve, you may run out of money before you hit that winning bet (or hit the table limit, which is basically the same). Those who find this system appealing underestimate the very real probability of a series of losses. CLICK HERE for the complete text, but bear in mind that he refers to an American wheel, which has 2 green zeros and as such, a boosted 5.26% edge.Yeah, go figure. This entry was posted in Home and tagged casino, casino promotions, conversion, crm, egaming, gaming, hybrid, hybrid interaction, igaming, interaction, Martingale, online, online casino, online casino conversion, online casino promotions, online casino retention, online casino retention strategy, online casino VIP, online casinos, online gambling, online poker, online poker conversion, online poker promotions, online poker retention, online poker VIP, player conversion, player development, player retention, poker, poker promotions, retention, roulette, social casino, social casino games, social casino gaming, social poker, social poker games, social poker gaming, strategy, system, Thomas, VIP. Bookmark the permalink. I have seen people over the years totally immersed in the ”double up system” and for some reason they forget to look at the table limit signage!! Your first mistake is playing Red n Black. Roulette is a game you can master indeed but you have to get away from the 2 to 1 paying odds. Don’t tell me otherwise because I can do it. You have a 35-1 payoff built in so you can lose many times and still win with a significant profit. However, going to any wheel at any time is NOT the way to win. You must master a tracking / dealer signature that determines play and you better have your chips ready right then or you yourself will throw off the expected result. It’s all about timing an uninterrupted and reasonably predictable outcome. You can miss a few times but will rarely be more than 5. Einstein errored when he said it can’t be beat. You will beat it when you apply the mathematics and then hit and run. Stick around for fun and you WILL lose it back. Here’s your million dollar tip. Stop playing your numbers and play the wheel instead. That’s all I’m sayin. Figure that out and you’ll love this game. I do!